Following up a Mercury Prize-nominated album with anything less than greatness has to be a source of some consternation. Look at the heavy hitters who’ve bit the dust trying just that: Badly Drawn Boy, Portishead, Primal Scream, The Jesus and Mary Chain, and U2 among others. And if you’re a young pop crooner who tickles the ivory and strums a few chords, then you’ve got the added burden of living in the mile-long shadows of Rufus Wainwright and Jeff Buckley. But Ed Harcourt isn’t phased. He follows up Here Be Monsters with From Every Sphere, a forward-thinking, life-affirming orchestral pop record that elbows its way through the ghosts of modern music to find a seat at the bar. Right between Tom Waits and Brian Wilson. Only recently did I learn that Harcourt cut Here Be Monsters in the midst of a prolonged illness, which makes all the sense in the world. It was a volatile brew, feverishly oscillating between the lovelorn youthfulness of “She Fell Into My Arms” and the apocalyptic foreboding of “Beneath the Heart of Darkness.” Unfortunately, Harcourt could volley those extremes back and forth only so long before the last one-third of the record sunk under the weight of too many low- to mid-tempo ballads. If anything, From Every Sphere takes a few timid steps before jumping in and, by the end, is on pop bliss cruise control. For instance, the Nurse Ratchet references in “Sister Renee” are clever, but the song ultimately wilts with somber ambiguity. Meanwhile, the lumbering Addams Family-esque ode, “Undertaker Strut,” is a better fit musically and thematically next to the more willfully oddball songs (“God Protect Your Soul”) on Monsters. 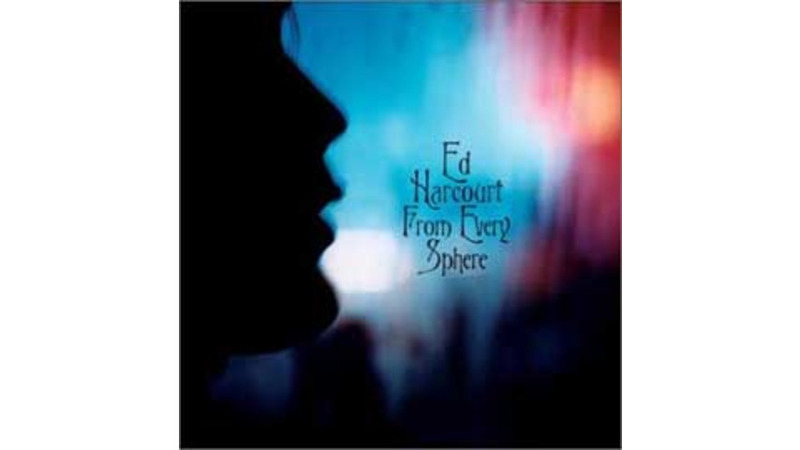 Most emblematic of Harcourt’s renewed spirit is “Watching the Sun Come Up,” a sonically rich rocker that evokes the poignant optimism and wonder of World Party’s “Thank You World.” It’s a masterful piece of production (credit Tchad Blake) worthy of Neil Finn and Crowded House’s best work, balancing tender, wistful piano and trumpet tracks on the crest of cascading synthesizer and full-bodied electric rhythm guitar. Harcourt tempers that outburst of determination a few songs later with the title track, a stunning reminder of his diversity of mood and texture. It’s as hypnotic and desolate a closer as any you’re likely to hear, surprisingly reminiscent of the more understated, airy arrangements that Trent Reznor was trying on Nine Inch Nails’ underrated Still. A single guitar chord drones in the distance, followed by a few alternating piano notes closer in the mix, and then Harcourt’s languid voice leads a fragile procession of anonymous electronics, feedback and muffled bass into oblivion. Here’s hoping Harcourt returns soon.